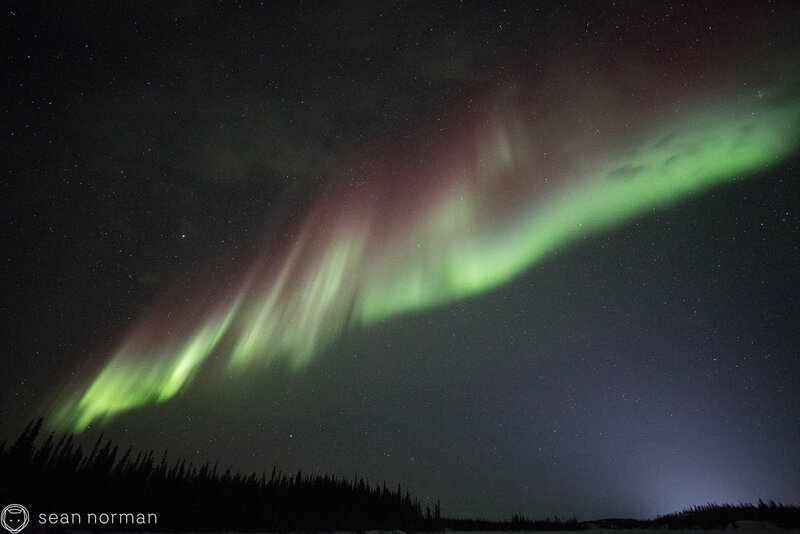 The faintest arc of aurora was resting gently over the north horizon, just above a cloud bank. Both on their way to us. 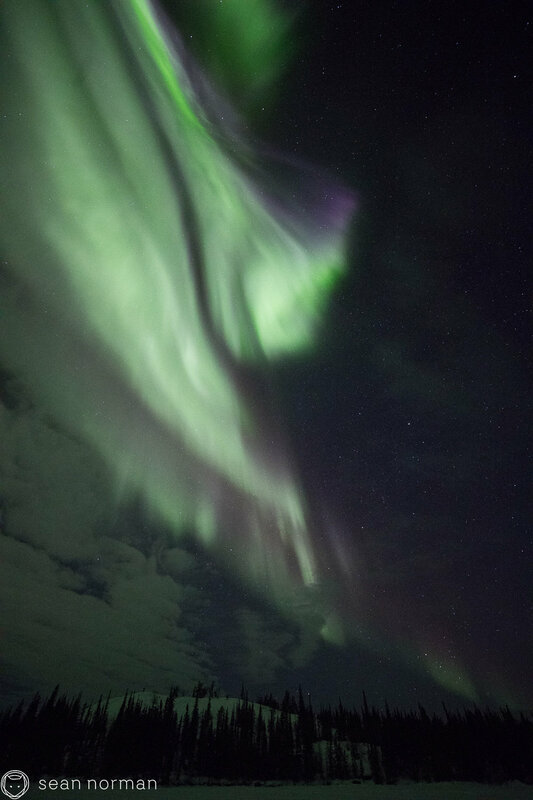 We knew if the auroral arc could beat the cloud bank to the southern horizon, we'd be the happiest bunch. 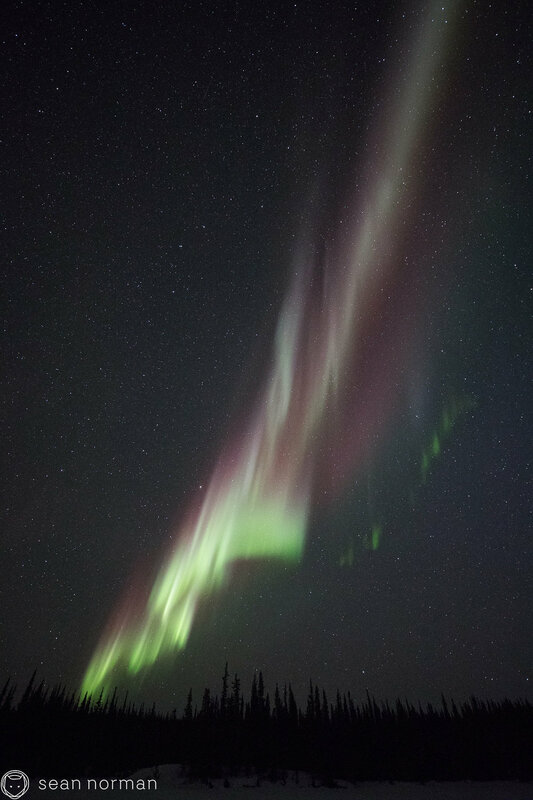 The aurora won, and light screams of excitement were let out.